I found this on a flier in a pack of vitamins I bought and tried it. It was great. Heat oil in a large non-stick skillet over medium heat. 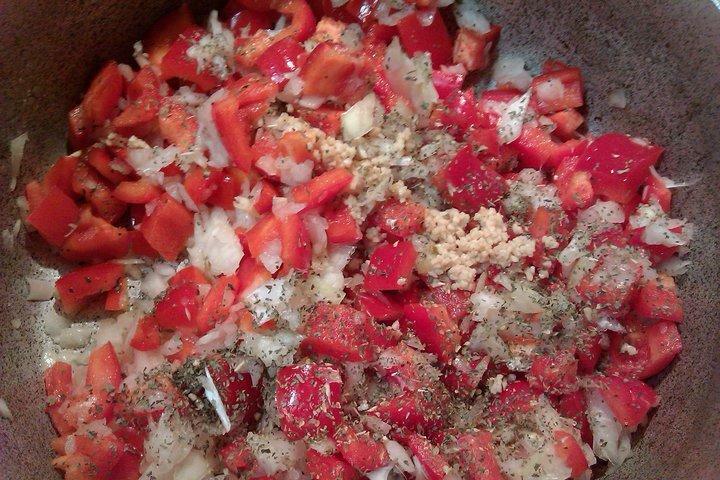 Add all ingredients except serrano chili and cook until peppers are very tender (about 25 minutes). Spoon mixture into a blender, add serrano chili, and blend until smooth. Add a few teaspoons of water if necessary (I had to add water to get it to blend in my blender). I love my Fit Book!